Circular RNAs (circRNAs) mediate the posttranscriptional regulation of multiple genes by functioning as microRNA (miRNA) sponges. This study aimed to detect the novel expression of circRNAs in the cumulus cells (CCs) of polycystic ovary syndrome (PCOS) patients and their potential significance in the pathogenesis of PCOS. circRNAs in the CCs from 6 PCOS patients and 6 normal control individuals were collected for microarray analysis, and an independent cohort study including 25 PCOS patients and 25 normal control individuals was conducted to validate the circRNA microarray results using quantitative real-time polymerase chain reaction (qRT-PCR). Spearman’s rank correlation and receiver operating characteristic (ROC) were performed to delineate the potential correlation between novel circRNAs and patients’ clinical characteristics and their potential efficacy for the diagnosis of PCOS. Bioinformatics analysis was applied to investigate the potential roles of circRNAs in the pathogenesis of PCOS. A total of 286 circRNAs (167 upregulated and 119 downregulated) were identified by microarray that was differentially expressed between the PCOS and non-PCOS groups. After qRT-PCR validation, the expression levels of hsa_circ_0043533 (p < 0.05) and hsa_circ_0043532 (p < 0.01) were significantly higher in the PCOS group, while the expression level of hsa_circ_0097636 (p < 0.01) was prominently lower versus the non-PCOS group. 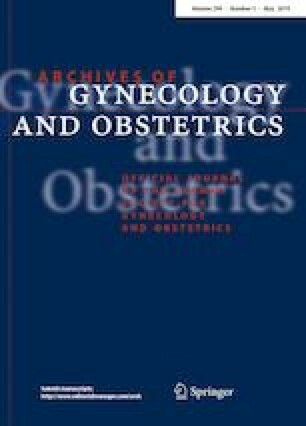 Spearman’s rank correlation indicated that the serum testosterone (T) level positively correlated with the expression of hsa_circ_0043533 and hsa_circ_0097636 in the PCOS group. The ROC curve analysis found that the combination of hsa_circ_0097636 and T resulted in a larger area under the curve (AUC) (0.893) compared with each circRNA alone (0.709, 0.738, and 0.718 for hsa_circ_0043533, hsa_circ_0097636 and hsa_circ_0043532, respectively). Bioinformatics analysis revealed that the dysregulated circRNAs were potentially involved in cell cycle, oocyte meiosis, progesterone-mediated oocyte maturation, the FOXO signaling pathway, phosphatidylinositol signaling and glycerophospholipid metabolism. The expression of circRNAs in CCs was significantly different between PCOS and normal control individuals. We validated three circRNAs, which could lead to a better understanding of disease pathogenesis and the development of effective therapeutic interventions for PCOS patients. The online version of this article ( https://doi.org/10.1007/s00404-019-05122-y) contains supplementary material, which is available to authorized users. This work was financially supported by the National Natural Science Foundation of China (No. 81671416). ZM: data collection, formal analysis, manuscript writing. HZ: methodology and software supporting. YZ: methodology supporting and manuscript editing. XL: sample collection. CH: project development and manuscript editing. This study was approved by the Institutional Ethics Review Board, Yantai Yuhuangding Hospital affiliated to Qingdao University.